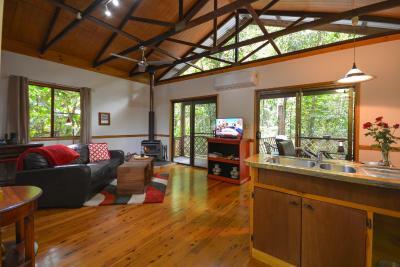 Lock in a great price for Crater Lakes Rainforest Cottages – rated 10 by recent guests! 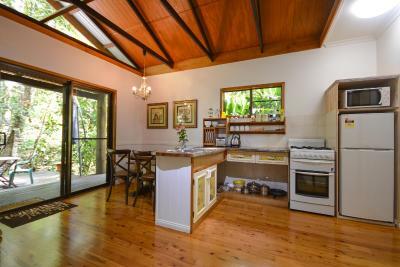 Well appointed and thoughtfully designed cottages are in a private setting in the rainforest. 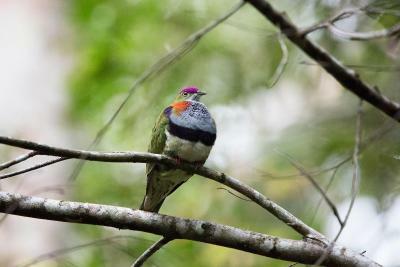 John and Jenny, the hosts, are very helpful and friendly, and provide meal worms for the colorful rifle birds and kibble for the wallabies. 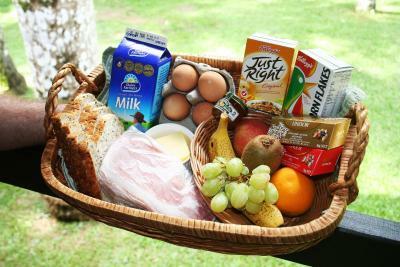 The breakfast baskets are well stocked and well received! 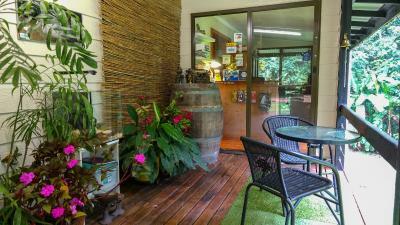 Numerous good restaurants a short drive away in Yungaburra. 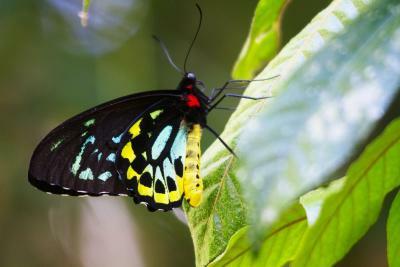 It’s very remote and in the middle of the rainforest! 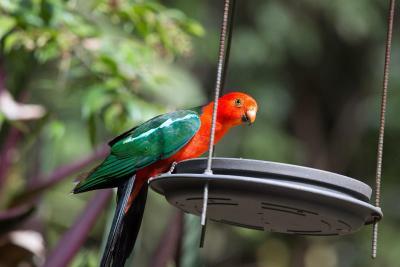 All the animals and birds are literally on your private deck including hand feeding rifle birds! 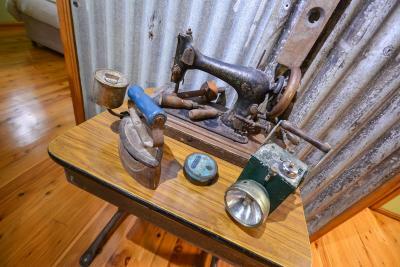 The Pioneer cottage was lovely, well appointed with everything including an iron and close by by laundry facilities. 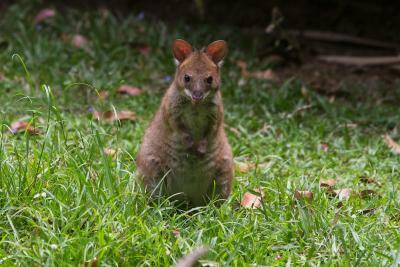 Very quiet with lots of local bird and animal life to watch sitting on the deck. 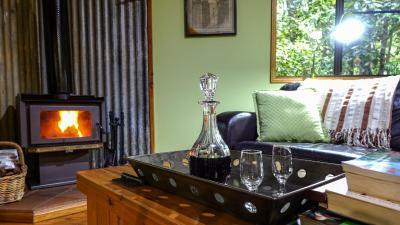 The cottage had all we needed for a relaxing holiday. I thoroughly recommend a stay here in the forest. 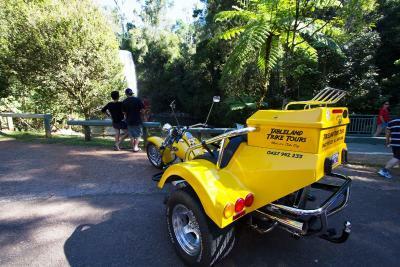 Yungaburra is worth a visit, stay a few days to visits the lakes. A great place for dinner go to Flynn’s. The property was lovely and had everything we need it. The fireplace was beautiful and the spa was big and deep. 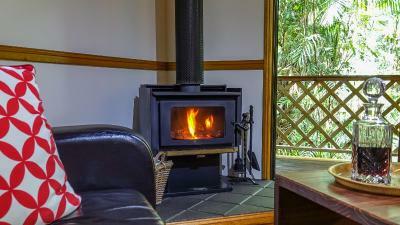 Cosy cottage, great wood fire place, location was excellent, limited phone reception but just what you need for a romantic weekend away. WiFi was provided. 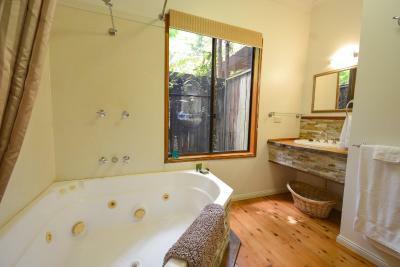 The cottages were private, although they were in close proximity - one would be hard pressed to be aware of this. 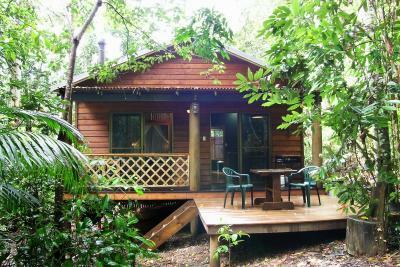 The way the cottages were situated- facing into the bush and not towards each other, with at least 50 meters between each building ensured the sense that one was isolated in the bush, surrounded by rainforest and the creatures that live there. 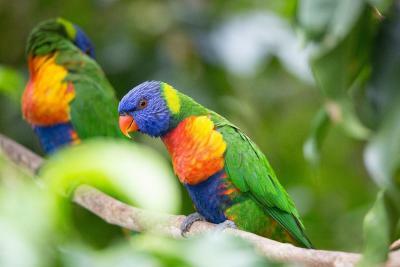 The BirdLife was outstanding. Birds come down and feed from your hand! This may be the best kept secret ever - but a secret to share. 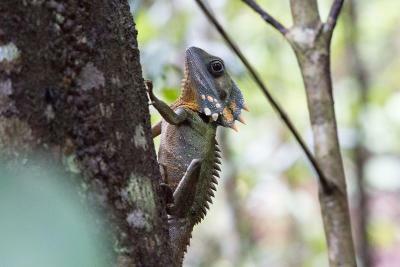 A toatally remarkable experience. 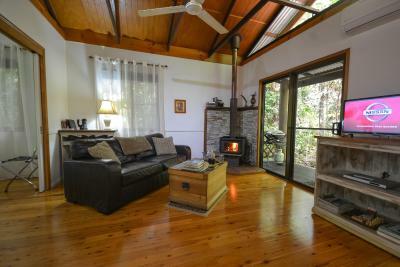 I would recommend a few nights in this devine environment. 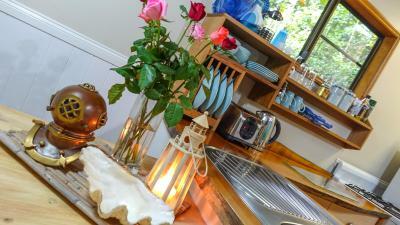 The tranquillity, comfort and the hosts were fantastic. An ideal place to relax. 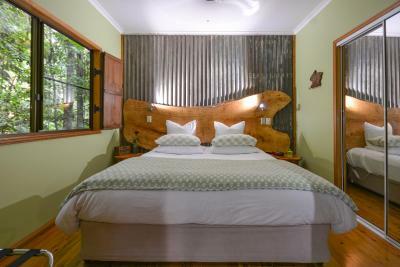 Crater Lakes Rainforest Cottages This rating is a reflection of how the property compares to the industry standard when it comes to price, facilities and services available. It's based on a self-evaluation by the property. Use this rating to help choose your stay! 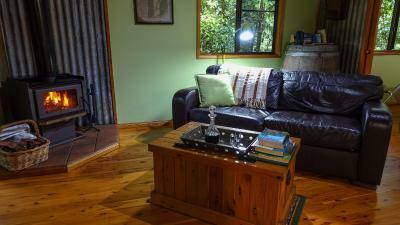 Each of the Crater Lakes Rainforest Cottages has a fully self-contained kitchen, dining area and log fire. 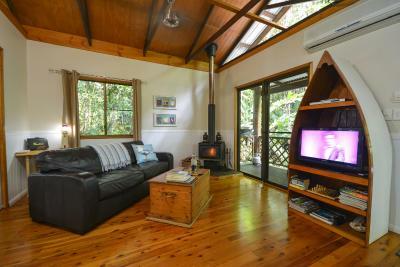 The lounge area includes a leather sofa, TV, DVD player, and stereo system with CD player. 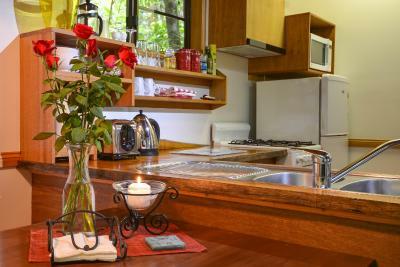 Guests have free access to shared laundry and a covered deck area with waterfall, pond and seating. All cottages have their own covered car parking space. 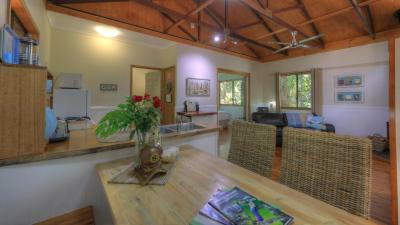 Crater Lakes Rainforest Cottages Yungaburra are only 2,300 feet from the shores of Lake Eacham. 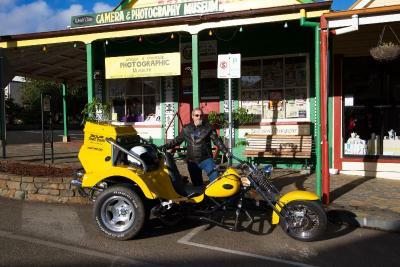 It is a 10-minute drive to the restaurants in Yungaburra village. Cairns International Airport is 45 mi away. 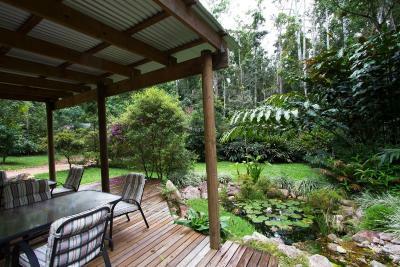 This property also has one of the top-rated locations in Yungaburra! Guests are happier about it compared to other properties in the area. 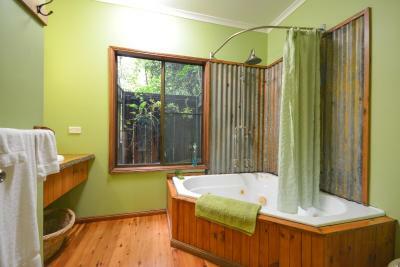 This property is also rated for the best value in Yungaburra! Guests are getting more for their money when compared to other properties in this city. 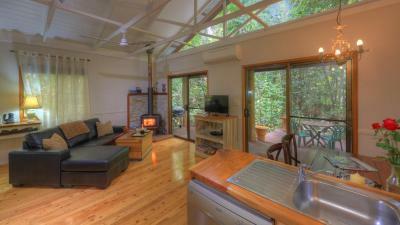 When would you like to stay at Crater Lakes Rainforest Cottages? House Rules Crater Lakes Rainforest Cottages takes special requests – add in the next step! 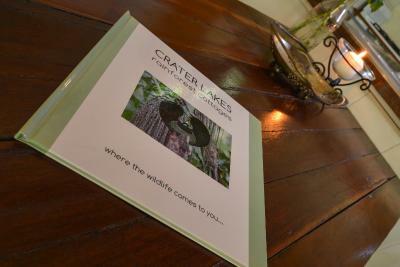 Crater Lakes Rainforest Cottages accepts these cards and reserves the right to temporarily hold an amount prior to arrival. 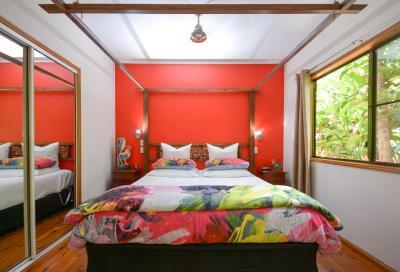 Excellent place, surrounded by rain forest, saw many exotic birds and animals, large very clean rooms. Wifi was quite poor & intermittent. 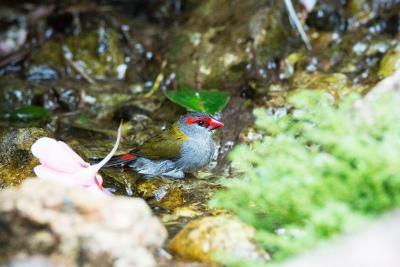 Amazing place to stay, luxury rooms surrounds by amazing birds! 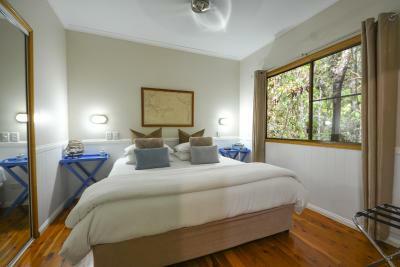 Do yourself a favour and stay a couple of nights, you won’t regret it! 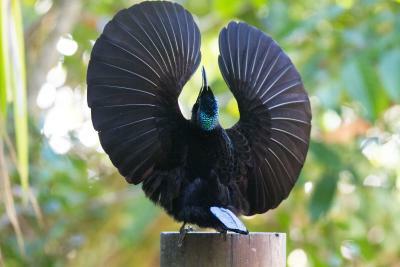 Love the bird calls in the morning.